(30.5 cm), xiv, 318 pp., illustrations. Publisher’s cloth, printed dust jacket. 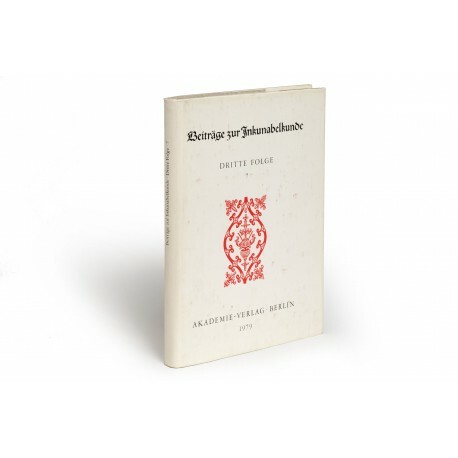 - The Schwenke-Sammlung is an archive of rubbings of bookbindings collected by Paul Schwenke (1853-1921) and deposited in Staatsbibliothek zu Berlin, where it was organised and catalogued by Ilse Schunke (1892-1978). This volume (the first of two published) provides reproductions of tools recorded in the archive, organised according to workshop. 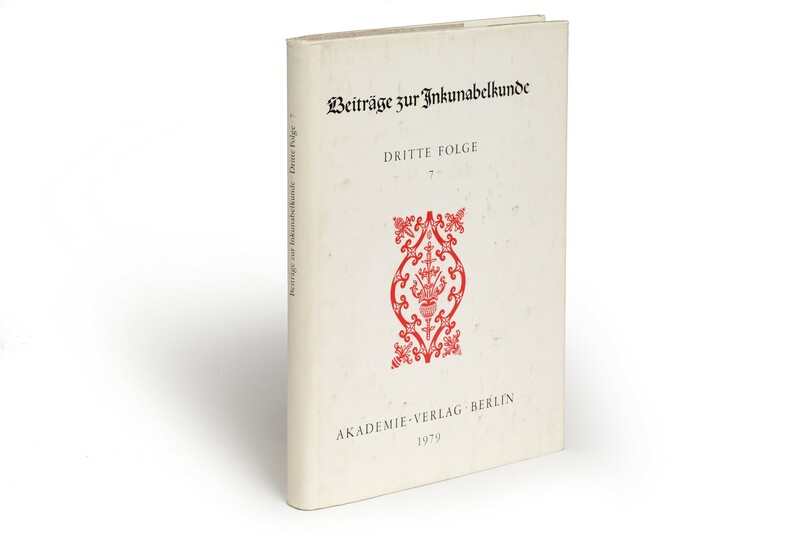 An index volume (not offered here) followed in 1996 (Werkstätten, nach Motiven geordnet und nach Werkstätten bestimmt und beschrieben von Ilse Schunke, edited by Konrad von Rabenau; Beiträge zur Inkunabelkunde 3. Folge, 10). Cf. Kurt Hans Staub, “Ilse Schunke in memoriam” in Gutenberg-Jahrbuch, 1980, pp.367-369. ¶ The (white) dust jacket rubbed and slightly discoloured; otherwise a very fine, unmarked copy.